The field of numismatics refers to the study and collection of coins used as a form of currency. People from all over the world participate in numismatic organizations in order to learn more about their hobby, and share information with likeminded individuals. Some people, known as numismatists, make a living studying, preserving or collecting these coins. The field is one that is unique and deeply steeped in history and culture. When a person wants to find a numismatics organization near them, the first step should be to look into national or statewide organizations. These organizations often feature local or smaller chapters, which allow people to embrace their hobby and learn more about it in the process. 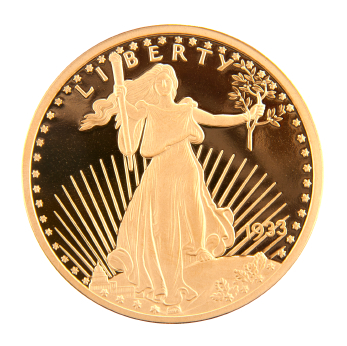 Some reputable organizations include the American Numismatic Association, the Professional Numismatists Guild and the National Numismatic Association. These organizations often allow people to join online, making it easier than ever to learn the craft and bond with people who can help. These organizations charge membership dues and feature perks like access to publications, meetings, events and seminars. Many hold conferences on an annual basis, allowing amateur and professional numismatists alike to get their fill of the hobby. By joining one of these organizations, either in a nationwide or local capacity, members are able to expand upon their knowledge and resources. A person can learn about the field of numismatics by joining one of these organizations, or by expanding their information base with literature. This is one of the oldest hobbies practiced; so much has been written that will help a person get started. In doing research, a person will learn the basics, including how to store, value and preserve their coins. People collect coins from a variety of areas, countries and eras, and take pride in ones that are valuable, rare and unique. Coins hold a lot of character, which is why they are collected more often than many other forms of collectable items. Though numismatics largely refers to the collection of coins, it can also refer to paper money, tokens and other similar items. In terms of a career, numismatics often refers to the history and preservation of these items. The field is so popular because coins play a large role in understanding the history and culture of a particular civilization. Since these coins were once used as money, people gain an understanding of how that society lived, and can get a glimpse at their culture. In most cultures, people place significant figures, symbols or ideals on the face of their money. For instance, countries today place the faces of noteworthy leaders and historical figures on their coins. These coins are also important due to the materials they used. The use of these materials speaks to which resources were plentiful, rare or important during the era in which they were created. Collecting and preserving money is essentially the same as collecting and preserving history, which makes the field incredibly important. The impact of the field on history is evident based on the grand manner in which museums store these vast coin collections. The Smithsonian holds the largest numismatic collection in the world, featuring nearly 2 million coins, paper money and similar objects. The preservation of culture is essential, because it allows societies to understand where they came from. In both hobby and career, the field of numismatics plays a large role in preserving history. Perspectives in Numismatics – B.U. or Beware!